WHAT happens when 12 people from varying professional backgrounds sit around a board table to discuss EXPORTING? 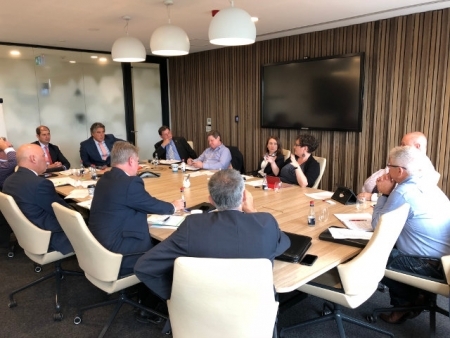 FOLLOWING is an edited transcript of the recent Access News Australia Round Table on the subject of The 9 Levers of Growth with KPMG. 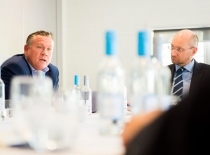 FOLLOWING is an edited transcript of the recent Access News Australia Round Table hosted by Liuverpool City Council on the subject: Liverpool: A Global City. Anthony Moss (session chaiman): Good morning everybody – ladies and gentlemen. Thank you to Michael Walls, Publisher of Access News Australia for organising today’s event. Thank you to David Pring and KPMG for being our sponsor for the event, and also thank you to David for being our host of the event today, in this luxurious Sebel hotel, resort and Spa Hawkesbury which is excellent. We want to have a robust discussion today about strategy, it’s relevance to business, what’s a good strategy, what’s a bad strategy, how do businesses drive and develop new strategies, why should they bother anyway –. So, only a couple of Simple rules – which is: One, please jump in, please engage, and two, every idea is valid. Sound reasonable? Are we ready to jump in – everybody feeling pretty cool and relaxed and happy to share their ideas and their views? David Pring, can we start with you, with an introduction if we may? Anthony Moss: Good morning, ladies and gentlemen. Welcome. Great to have you here this morning. A special thank you to Michael and Access News Australia for pulling together this august group of local business people, local leaders, local Council, to talk about the Sydney Hills Opportunities, Road Blocks and Solutions. And a special thank also to our host for today. Here we are in the lovely display rooms of Esplanade, Norwest Lake. Thank you to Jim Taggart for attending. Jim has often chaired these round table meetings and it’s great to have you as a participant in these meetings too, Jim. Ok we might start with introductions please. Shall we start with Steve?